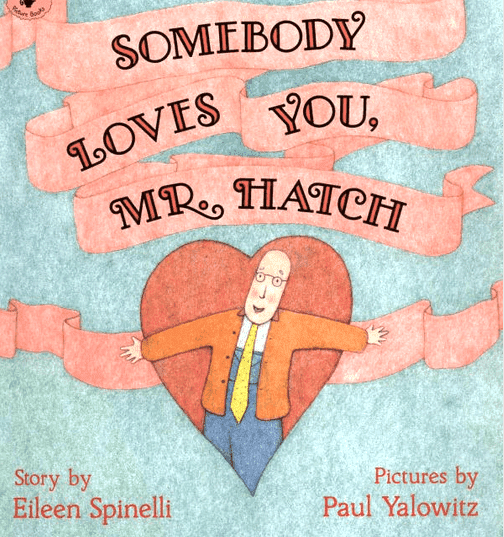 Today we read this truly fabulous book called Somebody Loves You, Mr. Hatch by Eileen Spinelli and Paul Yalowitz. This has to be one of the best books out there and is easily my favourite Valentine book. It's a charming tale about an older man who leads a lack-lustre existence. But then! Somebody sends him a Valentine. Mr. Hatch is smitten, he's rejuvenated, he's in love with life and it shows. He now smiles, talks and laughs with all his new friends. But wait! The postman later tells Mr. Hatch there was a mistake; the valentine was meant for someone else. Poor Mr. Hatch. He spirals into despair and falls back to his old ways. But happily not for long -- all his new friends are generous and vocal in their love for Mr. Hatch. 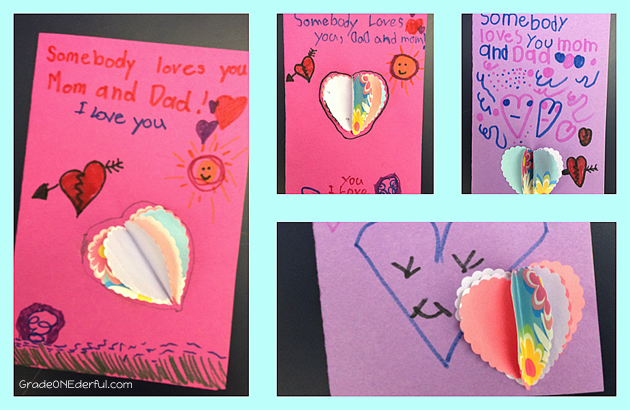 After we read the book the kids made Valentines for the person (people) of their choice. Of course, being 6 years old, most of their cards were for mom and dad. On the front of the card they printed "Somebody loves you ....". 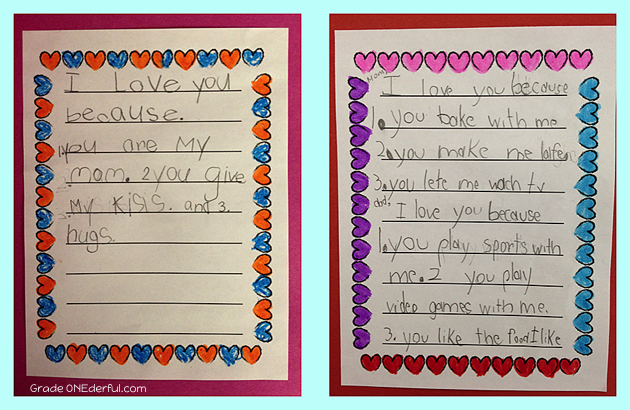 Inside the card they were instructed to write "I love you because..." with three reasons. Did you notice those beautiful little fan hearts on the front of the cards? I used some scrapbooking paper and some coloured photocopy paper to cut out a bunch of little hearts (I used this 2 3/4 inch hole puncher from Michaels). Next year I'll splurge and buy more scrapbooking paper cause I think that way they'll look even prettier than they already do. Everyone picked 5 hearts. They were carefully folded in half and then glued together, one side at a time. Once the fan was made they were glued onto the front of the card. 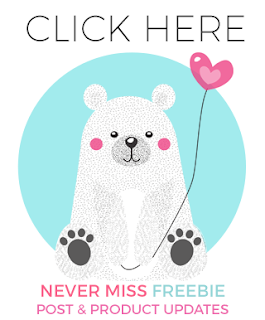 Better instructions for the hearts can be found HERE. If you'd like a copy of the writing paper we used, just click HERE. A lot of somebodies love you, Barb! What a fun post ... thanks for the inspiration. These cards are going to warm a lot of hearts. I have not read that book before. It looks like one worth reading year after year. We are enjoying Mr Hatch this year too and are busy making rice crispy hearts to give away. Never seen or heard of this book. I have to have it! I love Mr Hatch! Nice to see your little ones spreading the joy! What a fabulous book!! Love the heart-fans! What sweet, sweet Valentines! I like how you had them give reasons for their love. The hearts are a fun touch! Thank you for the cute panda guy! I love the heart fans! The parents must have been thrilled with their valentines. Now I have another book in my cart at Amazon. Have you seen the picture of the Amazon truck pulled up with the words, "Your book order is here!"? I think that may be me! Happy Valentines Day! I love that book! Just read it to my class yesterday. 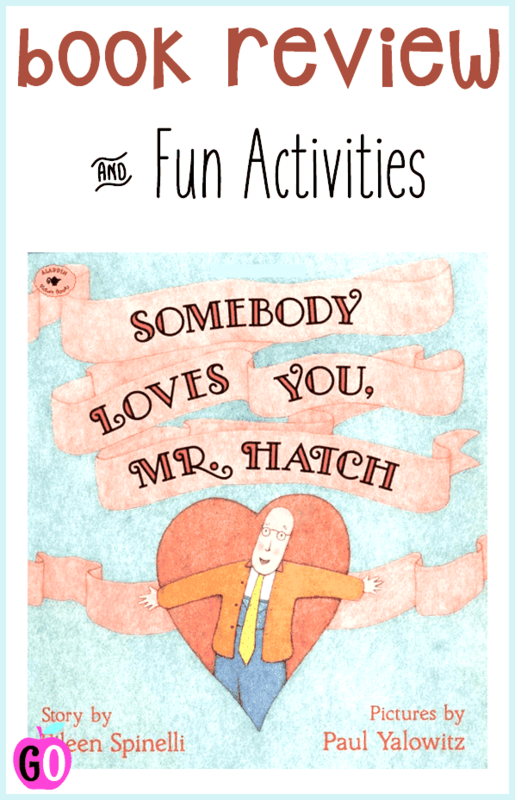 The valentine's with "somebody loves you" are such a cute idea to go with the book.